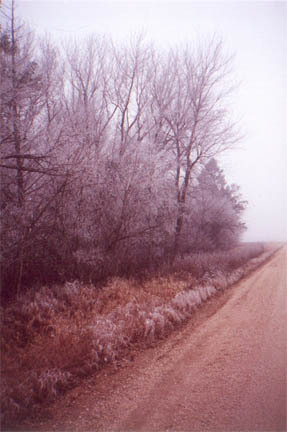 road along a grove of trees next to the family farmhouse. Tree of Thirteen Runes is a small, family-based Witch coven, incorporating decades of experience and practice. Led by priestesses Lady Isadora and daughter Lady Andred, in loving memory of mother/grandmother Lady Marne, TTR observe Pagan traditions primarily from our own Old English/Saxon, Scandinavian, and Celtic ancestries. However, we sometimes draw from other mythologies and folk traditions with which our members feel past-life or spiritual kinships, such as Native American, Roman, Greek, and Ancient Egyptian. We honor both Goddess and God with music, poetry, dance, and other ritual artistry, and there is a strong solar as well as lunar emphasis in our orientation. TTR members are avid readers, but not by-the-book. TTR is positive-path, but not for the faint-hearted nor easily bent. We proudly practice passionate, dare-to-color-outside-the-lines Witchcraft, not the prim and PC Wicca weve sometimes seen. As Iowa Stubborn free-thinkers, we deeply prize individualism, and love rousing discourse and debate, pursuing reach-for-the-stars contemplation and study, as well as kick-up-your-heels good fun! Inquiries are welcome, but entrance into the coven is not quickly nor easily granted, and membership is limited. We are happy to network with sincere seekers, and can provide referrals to other local groups if desired. 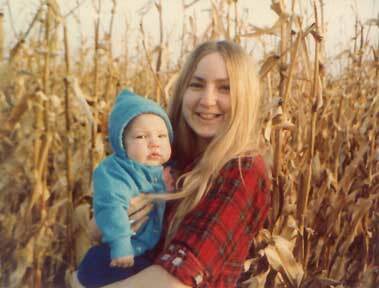 Corn Tassel and her little papoose where the tall corn grows, November, 1982. 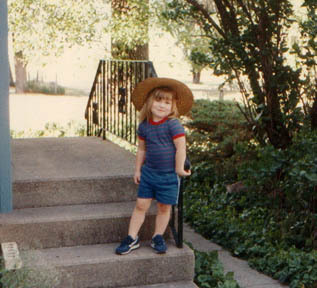 Left: Little Andred at the Blue House. 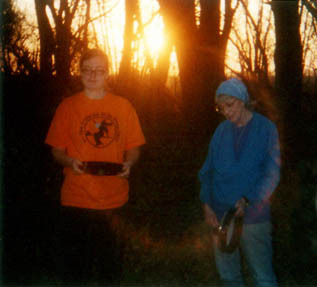 Right: Andred and grandmother Marne in the grove at Samhain, about 2002.